The Echo is basically a physical implementation of Google Now that ties into Amazon's services instead. 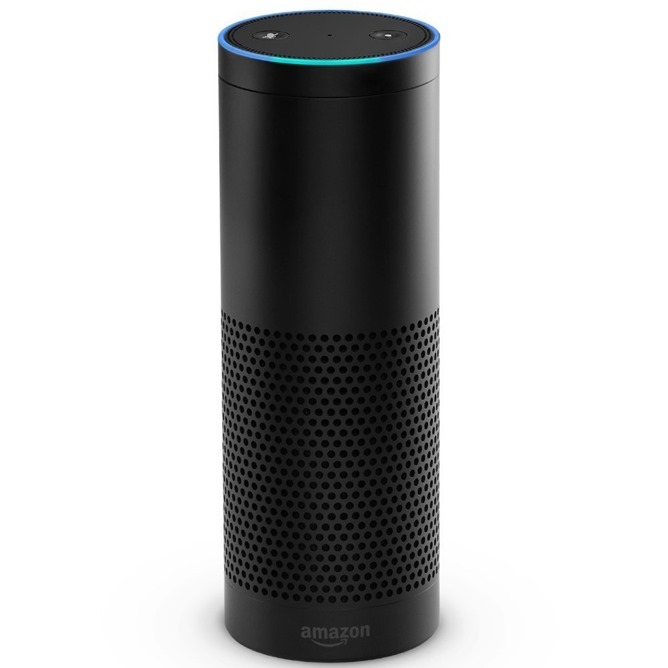 Users can speak "OK Echo" or "OK Alexa" (the device's anthropomorphized digital voice) and an omni-directional microphone will record voice commands. The Echo launched with an Android app for setup and integration with Amazon Music and other services, but software updates during the beta period have added functionality for popular platforms like Pandora, Google Calendar, IFTTT, and more. Amazon is quick to hail the Echo's 4.5-star rating on its own page, though that may be a bit slanted since all the Echo users up to now have been Prime subscribers, and therefore more likely to be reliant on Amazon services already. That said, Amazon has been steadily expanding the Echo's capabilities, and a relatively quick exit from beta implies that the company believes in the product.